As the market becomes more saturated, it's harder to ascend to the same levels of fame and lucrative sponsorships in the field than ever before — but it's not impossible. The concept of the influencer didn&apos;t exist a decade ago, but now it&apos;s a viable career path, as influencer marketing is expected to be worth $10 billion by 2020. While anyone with an Instagram account and a closet, a cosmetics case, a global travel itinerary, and/or a voice worth following can theoretically become an influencer, is it still possible to make it big? As the market becomes more saturated, how feasible is it to become a mega-influencer on the level of OGs like Arielle Charnas, Chiara Ferragni, Aimee Song and Leandra Medine in 2019 and beyond? In short, it&apos;s not too late, but it&apos;s complicated — and perhaps harder to ascend to the same levels of fame and lucrative sponsorships in the field than ever before. 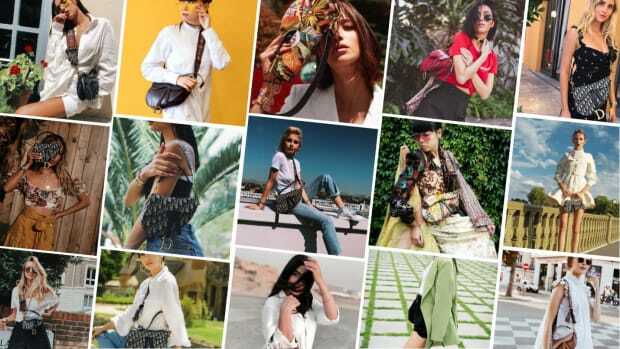 "There is definitely room for someone who has something different to bring to the table through their point of view and story," says Yuli Ziv, who launched Style Coalition, one of the first influencer marketing platforms, in 2008. (It was acquired by Launchmetrics in 2017, where Ziv currently serves as managing director, USA.) "People like to follow those who are relatable, which means different things for different people, so once someone establishes their &apos;voice,&apos; the options are limitless for them to forge their own path." Launchmetrics&apos;s 2017 report on The State of Influencer Marketing found that brands are becoming more savvy and engaged when it comes to working with influencers and seeking out their "perfect match," with around 80 percent of fashion, luxury and cosmetics professionals partnering with them. "Influencer, as a term, has entered our daily lives and the role has become more defined and legitimate — but with legitimacy comes accountability. Brands are no longer easily impressed by a simple follower count … they are going deep into the study of influencers, looking at their media impact value, engagement, content and voice, understanding who they are working with and what that person can bring to the table as a brand ambassador." So what, exactly, makes a mega-influencer? That depends who you ask, says Alyssa Coscarelli, a former market editor at Refinery29 who recently left the publication to pursue her growing influencer career. "Different brands have their own tier one, two and three influencers," she explains. "In my eyes, micro-influencers have under 20K, they&apos;re still getting brand partnerships and have some authority over their small audience; there&apos;s a 30K to 50K &apos;breakthrough&apos; range, where you&apos;re not micro anymore, but you&apos;re not quite in the big leagues; 100K to 300K is mid-level, with steady jobs and solid authority, but still accessible; then, 300K to 500K or more, you get into the mega-influencer range." There&apos;s a place and need for influencers of various levels of clout: Size matters based on what a brand wants to get out of its influencer pair-ups at any given point, per Ziv. "Ultimately, the tier of influencer or profile that a brand will choose to engage with will depend on the campaign goals they are trying to achieve," she explains. "If a brand wishes to create awareness, then they are better off with mega-influencers, as they act as a megaphone, creating echo around the event, campaign or product launch. If their main objective is to attract a more local, connected audience, then they are more likely to activate the mid-tier influencers, as they would be more willing to post regularly about the brand and engage their local audience in a community approach. Lastly, a micro-influencer will serve the purpose not of a megaphone but of a connector." Before Instagram launched in October 2010, Aliza Licht was already savvy to social media as an influencer of sorts herself, thanks to her stint on Twitter as @DKNYPRGIRL, beginning in 2009. Granted, Licht, who was SVP of global communications at Donna Karan at the time, was shrouded in anonymity while exhaustively, hilariously tweeting, unlike the full-visibility influencer of today, for whom having a recognizable face is a given. Licht, a marketing executive and author of 2015&apos;s guidebook to social media strategy Leave Your Mark, dubs mega-influencers "macro-influencers" and defines them as those who&apos;ve been at it for approximately a decade, who transitioned from blogging to mainly Instagram, and also extrapolated their celebrity personas into other partnerships, like Something Navy&apos;s Arielle Charnas pairing up with Nordstrom. According to Licht, micro-influencers (which comprise a huge follower range, from 10,000 to 700,000) are ideal for brands looking for new paths to promotion. While the macro-influencer gives "credibility, brand awareness and positioning," brands hoping to drive actual sales will probably be more successful with someone micro. Medine, one of the OGs name-checked in any conversation about the origins of the influencer (particularly in the fashion space), is quick to acknowledge how kismet and timing aided her success. "I really believe luck plays a role in all of this, and I was in the right place at the right time; blogging was still relatively new, consumers of personal blogs were super bought-in, and mine was one of the few that had a niche beyond just &apos;fashion blog&apos; — I wanted more." That desire for more than solely social media following and fame isn&apos;t essential to succeeding as an influencer, though: "You can probably build a substantial business just based on the ability to implicitly share, continue to share, and not be knocked down by feedback based on that sharing and really own who you are," Medine says. "It&apos;s not as easy or natural for me to constantly share every element of my life, but I see how it&apos;s done on social media and how influencers only become more popular as a function of that." As for the drive and type of person who can succeed on the level Medine has, "it&apos;s not resilience, maybe it&apos;s grit, but it requires an inability to see the world in a way wherein what you&apos;re doing is not part of it," she explains. But is the influencer market too oversaturated for a burgeoning name to really blow up? Not according to Brittany Hennessy, former senior director of influencer strategy and talent partnerships at Hearst Digital, author of Influencer: Building Your Personal Brand in the Age of Social Media, and current co-founder and chief relationship officer at Carbon, an influencer app and network. "It&apos;s interesting. There&apos;s no shortage of influencers to follow, and yet they&apos;re all growing, and there&apos;s room for new people," she explains. "Even the ones at the top are constantly growing; Chriselle Lim, Something Navy, Michelle Phan — they&apos;re just like celebrities at this point. When they&apos;ve moved to a higher level, it makes room for the people below them; the bottom rung is now open for new people to get onto the ladder. It&apos;s a very full ladder, but it&apos;s constantly moving." As for when the influencer space truly evolved to the next level, Hennessy pinpoints the shift in influencers hitting a new echelon of fame and fortune to Nordstrom&apos;s influencer collections in 2018, starting with Something Navy. "By [Nordstrom] tapping influencers to sell stuff in real life, I think a lot of other influencers took notice; if they&apos;re going to be someone who can secure this type of deal, they have to be able to draw people into a store, which means people have to be able to recognize your name and face,&apos;" Hennessy notes. Being as big as possible might not be the best path to influencer success nowadays: There&apos;s an appeal to quality over quantity, explains Hilary Williams, VP of Talent at Digital Brand Architects. "&apos;Top tier&apos; doesn&apos;t necessarily equate to having the most followers; today, it&apos;s more about how someone is tapping into their community and creating content and conversations that are engaging and impactful," she says. "If the story is compelling and their audience is reacting to it in a positive, actionable way, then it&apos;s feasible to build that into a successful, viable business — to really stand out and get to the next level, it takes a unique voice and a strong brand vision and strategy, forming great relationships with the influencer community, meeting with like-minded companies and tapped-in agencies and identifying and leveraging your strongest platform." "I think I put off being an influencer full-time because, I&apos;ll admit, I didn&apos;t think it was a real career," Coscarelli continues. "I didn&apos;t think it was sustainable, and I thought, &apos;I&apos;m an editor, a journalist, I don&apos;t want to just be an influencer or blogger.&apos; But the more my platform grew, I realized it does have longevity and sustainability. I was essentially working two full-time jobs, managing my personal brand while being an editor." Eventually, there came a point where the influencer side of things was proving to be a lot more lucrative, fulfilling and exciting, and she ultimately made a choice. Her new path is no less demanding than being an editor, she underscores: "It does take a lot more work to be an influencer than meets the eye, I only have a fraction of what these mega-influencers have in terms of platforms, but even the time it takes to maintain an Instagram following as an influencer — it&apos;s valid time and energy, just like any other career, and it&apos;s also about strategy, just like any other &apos;real job.&apos;" Specifically, "you have to be &apos;on&apos; all the time and you&apos;re constantly emailing with brands and PRs just like an editor does, but in a personal capacity." Coscarelli has found that brands are equally (if not more) receptive and interested in working with her as an influencer, versus her as an editor at a publication. "I&apos;m fortunate to be going through all of this at a time when brands are starting to shift to influencer marketing; I think some brands still have some catching up to do, but people are starting to wake up to the return on investment it can really give, versus print ads or traditional media." Marketers spent a projected $1.65 billion on Instagram influencer campaigns in 2018 alone, per WSGN&apos;s recent report. "While many brands are already working with influencers and have established methods, many are still early in their influencer marketing strategy, which provides room for influencers to join the discussion," explains Ziv. "As the influencer space grows, there is even more appetite for emerging talent that brings a fresh point of view and original content." In short, authentic content will always have a chance to succeed, regardless of follower count. Influencing as a legitimate career goal is a proven reality: WSGN&apos;s "The Future of Influencer Marketing" presentation reports that in a survey of 1,000 children aged six to 17, over 34 percent identified "YouTube star" as their top career choice and 18 percent hoped to be bloggers or vloggers. WSGN also reported that "livestreamer" is a "dream profession" for over 54 percent of Gen-Zers surveyed for a study in China. Medine has been asked about the pathway to influencer success from aspiring Man Repellers, too. "I think it&apos;s really reasonable people would aspire to a life of what seems like tons of travel and lots of clothes, but it&apos;s a little different when I answer that question, because my being an influencer is a byproduct of the work I do," she says. 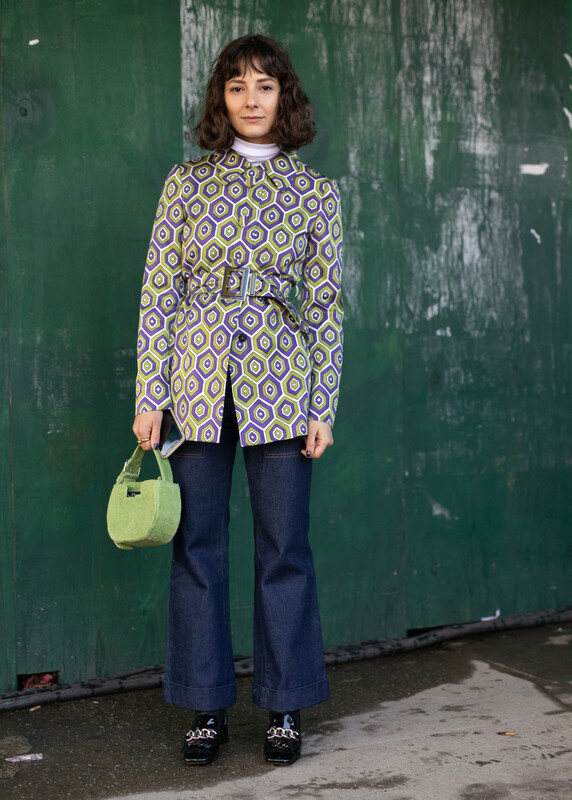 "I launched Man Repeller as a personal style blog, but it was definitely rooted in storytelling and in this idea that a woman&apos;s empowerment didn&apos;t have to be contingent on what a man thought of what she wore — I always knew I wanted Man Repeller to be bigger than me and outlive me." As for when an influencer&apos;s clout and success warrants representation by an agency — perhaps signifying that they&apos;ve blossomed into a full-fledged business entity, not just a popular-on-social-media individual — Coscarelli estimates it&apos;s around the 100K follower mark. "There comes a point when you&apos;re getting brands reaching out to you every single day, you&apos;re signing one to two contracts every single day, doing a lot of negotiation ... it becomes an issue of spending too much energy on the back-and-forth and not enough time on the content creation." Besides the time commitment involved with full-time influencing, there&apos;s a lot of business acumen needed (or gleaned in the process), Coscarelli notes. "There is some overlap between being an influencer and running a startup: You really have to vouch for yourself, maintaining your authenticity and appeal, the internal identity battle of staying true to yourself and doing what you know will do well, being your own best spokesperson, and standing out, just like if I was starting an app," she says. This includes handling all the usual minutiae of self-employment, particularly invoicing, taxes and chasing your own business. With more influencers to compete with than ever before, are certain spaces — say, travel versus beauty versus fashion — better bets for emerging influencers to rise to the top and stand out? Ziv sees the most opportunity in the travel space. "In the past couple of years, there has been a rise of the lifestyle-travel influencer who is able to incorporate fashion and beauty into their content in a more organic way — these influencers are appealing to a wider range of brands and verticals, therefore the opportunity might be larger," she says. Also, luxury lifestyle and fashion-focused influencers may need to be choosier with the brands they partner with as compared to beauty influencers. "Top tier brands, in the luxury sector particularly, are always looking for influencers who do not dilute their image by working with too many competitive brands," Ziv says. Aside from content areas that may be somewhat more feasible to make it big today, there&apos;s a specific content-platform combination that Hennessy believes has, and continues to, rake in the biggest bucks for those who succeed. "Doing beauty and being on YouTube will always be the most lucrative; it&apos;s where the money is, and all of the contracts I&apos;ve done with the most jaw-dropping numbers are always on YouTube," she admits. "It&apos;s more work to produce a YouTube video than it is to take an Instagram photo, and just the level of work that goes into it commands a higher price point." Hennessy also points to dedicated YouTube videos from beauty retailers, like Sephora, or brands, such as Revlon, where an influencer does "a full face, of one brand ... the audience is immersed in a 12-minute video, brought to you by one brand or retailer," she outlines. "You don&apos;t get that kind of immersion on Instagram, where it&apos;s a photo. You like it, maybe comment on it, then move on." Influencers with the highest engagement on Instagram are also almost always YouTubers as well, Hennessy notes, "because their audience connects with them in a way you just can&apos;t connect with someone you know only through photos." If the beauty YouTuber crowd seems too dense to infiltrate, Ziv notes that the platform "has a smaller number of fashion influencers, so it may present a bigger opportunity for entry." Instagram Stories has also changed the influencer game, per Hennessy. "Instagram Stories is the best thing to happen to influencers who are allergic to YouTube," she explains. "Anybody who has the personality and drive to be a YouTuber, they&apos;re doing it — but for influencers for whom video is just not their thing, they don&apos;t want to do tutorials or vlog, or have to edit the videos, but would like to be on video, Instagram Stories is such an easy way to do that, and every influencer will tell you their engagement goes up when they post a story, because people remember who you are ... especially with algorithm changes [on Instagram]. Influencers complain that people aren&apos;t seeing their content, or not in the numbers they used to; engagement rate is dropping, and Stories are a reminder to people that you exist, and [a place] to get real." As for whether certain social platforms are savvier choices for influencers to double down on currently and in the future, the consensus is that it&apos;s still all about Instagram. "Instagram will always be the most important, just because they had such a head start, it&apos;s hard to see them going anywhere; even though some influencers do use other platforms, Instagram remains a priority for everybody," Hennessy says. Or, as Medine puts it, Instagram basically created the influencer. "Instagram changed the game for influencers; there were not influencers before Instagram, there were bloggers who migrated some of their content or likeness over to Instagram and no longer even saw the value in having a website," Medine explains. "I don&apos;t know that any single platform has come up since Instagram that has been able to capitalize and commercialize a person&apos;s likeness to the same degree — and I don&apos;t know how long it will take for another platform on the same level to come up." Licht agrees that Instagram reigns supreme for fashion and anticipates heightened focus on YouTube for her industry&apos;s influencers, due to a key hire in 2018. "Instagram is obviously the most important space for fashion; YouTube, with hiring Derek [Blasberg as fashion and beauty director] is trying to build that fashion cred. So, for someone trying to create fashion credibility now, it&apos;d be a great time to partner with YouTube. When it&apos;s a priority for a platform, it&apos;s always going to benefit those [influencers] who go there first." Other than Instagram or YouTube, though, Licht anticipates fewer social platforms for influencers to build followings on. "I think more platforms will just go away; if someone introduces a new platform, please don&apos;t tell me about it, because I don&apos;t want to know! There&apos;s fatigue from too many platforms; it&apos;s funny, as someone who&apos;s been so immersed in social ... in a way, I overdosed on it." But Licht makes sure to note that no matter who a platform hires — Snapchat poaching Vogue&apos;s Selby Drummond, for example — or how they try to stay relevant, the key to a brand&apos;s heart is analytics. "If you can&apos;t tell a brand what they&apos;re getting for their spend, they&apos;re not gonna go there." Even though Instagram as the pathway to influencer success is old news, hopping on the app&apos;s newer features is a smart move for influencer growth, Ziv says. "It&apos;s always helpful to be an early adopter to new applications, as it&apos;s a great way to get a leg up and have a larger share of voice — with IGTV still in its infancy, it&apos;s never too late." And regardless of which platform an influencer focuses on, Ziv stresses the need to "cross-pollinate and promote content fluidly," including via Pinterest, which "has been adapting their platform and offering to make it more &apos;influencer-friendly.&apos;"
Is total exhaustion from influencers altogether a possibility in the future? "I don&apos;t believe there will be any influencer fatigue because the way they are working with brands and interacting with their communities has been evolving to the current &apos;demand&apos; and will continue to adjust to the market," Ziv predicts. What lies ahead for the mega-influencers — and just influencers in general? Perhaps the successor to today&apos;s mega-influencer is someone smaller on purpose, with an intentionally medium-sized following that&apos;s more loyal and less unwieldy. Coscarelli recognizes the value in being established but not overly massive: "Something I&apos;ve talked to a lot of my fellow Instagram bloggers and friends about is that we don&apos;t even want to get too big; there&apos;s something nice about this 100K to 200K level of influencing," she says. "You&apos;re not a celebrity, and you&apos;re not held to crazy standards, and you also are accessible and affordable for the brands that want to work with you. I care a lot about smaller, indie brands that maybe don&apos;t have that much money, and if I were to grow and grow, my platform becomes that much more valuable and expensive, which prices out certain brands to work with me on paid sponsorships." Coscarelli thinks the appeal of mid-level influencers happened "fairly recently," with brands recognizing this 100K to 200K following sweet spot as "trustworthy" handles and faces to rep their wares and messaging. From a fashion brand&apos;s perspective, the type of influencers — and capacity of the brand-influencer relationship — really depends on the brand&apos;s scale. "Big brands, like Gucci, for example, can function almost like talent scouts; they don&apos;t need an influencer in a way, so what they&apos;re probably looking for more is really unique points of view; they have all the brand awareness already," Licht says. "Other brands are the reverse, since they need the leverage, credibility and audience of an influencer to give them credibility, so a healthy, eclectic mix is always the best strategy — you work with certain people for credibility and other people for conversion, and I personally prefer working on a very local level," she explains. Being able to prove the value of each and every influencer partnership is difficult and a new industry challenge that didn&apos;t exist historically. "Marketers at brands are also held to the ROI on social media posts and what kind of sales have happened as a result of those social media posts," Licht notes. "Back in the day, we were never held to how many sales we got from that million-dollar billboard in Times Square, so there is this double standard of what is expected." "Given the pervasiveness of new brands thinking about working with influencers — and what constitutes an influencer, with this high-value emphasis placed on community — it also seems like you don&apos;t have to have a million followers to be an influencer anymore, and if you can just embody the core ethos of a brand, it&apos;s reason enough for them to hire you," Medine says. "The thing I&apos;d like to see in the future is less emphasis on an influencer&apos;s social following, and more emphasis on what value they bring to a brand; instead of using an influencer as a model of some sort, what if it&apos;s someone&apos;s illustrations you really adore? What if you really lean on a person&apos;s talent instead of the superficial points of what they look or sound like?" From a younger, on-the-up influencer&apos;s perspective — even one with a healthy dose of realism about just how crowded the space already is — the role will undoubtedly continue to be a viable career path, so long as there are people willing to follow, Coscarelli says. "Even though it is saturated, I do think there&apos;s enough to go around; that&apos;s the crazy thing, you&apos;d think there are too many influencers, but everyone has their respective loyal followings, and I think that&apos;s why we&apos;re all so thankful to the people who care to follow us," she says. "They keep us afloat, and there are enough brands, followers and likes to go around." In the future, there will likely be more resources for influencers — further proof of their legitimacy and considerable earning power — per Hennessy, which is partially what motivated her and her husband to launch Carbon, a new agency-platform hybrid for influencers to more seamlessly connect with clients. To start, that means hotel brands: "We noticed that influencers were spending a lot of time and effort figuring out who to contact in order to create organic content with different hotel partners," she says. With Carbon, an influencer (who&apos;s vetted by the app) can peruse different hotel partners and &apos;book&apos; a stay. "They&apos;re bartering; brands often don&apos;t offer influencers anything unique, or that the influencer needs; with Carbon, an influencer needs a location to shoot content, and the hotel needs exposure, so it&apos;s equally valuable for both partners, which is why you can do it without exchanging monetary compensation: they both see the value." In the future, Carbon will encompass fashion, beauty, and other brands looking to partner with influencers. Hennessy asserts that brands need to go back to prioritizing influencers who organically love their product, because that authenticity will always perform best. "I think we&apos;ll start to see influencers being much more involved with the brands they&apos;re partnering with and move away from the one-offs," she says. "Influencers use more than one makeup brand or wear more than one clothing brand, and if they do branded content for all of them, it doesn&apos;t make you inauthentic; it just means you don&apos;t shop at only one store." Influencer marketing has started to turn the corner and feel more like straight advertising — less like the co-branded storytelling that was the original intention. "I think people notice that very quickly, and we&apos;re already shifting back." Are Influencers Influencing Where Young People Travel? Even without hard sales numbers, hospitality groups say hosting social media-savvy guests is an essential part of marketing to today's travelers.